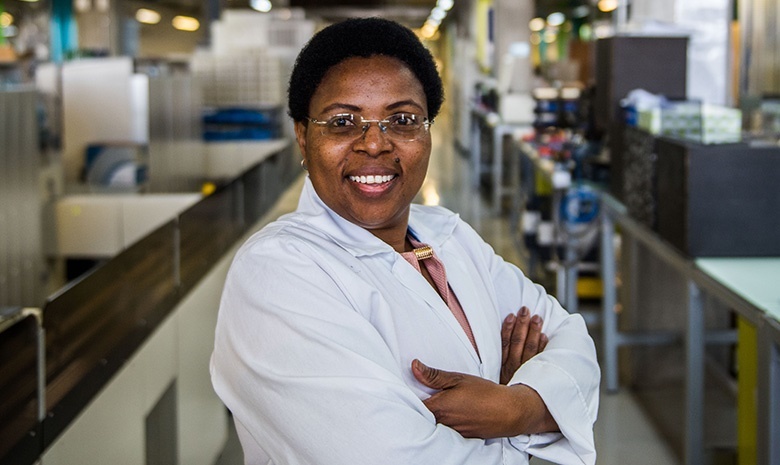 Thembeka Nyangintsimbi is a Lab Manager in Microbiology for Ampath, a well-known Pathology Laboratory services company. Thembeka tells Careers24 of her career and what sparked her interest to specialise in Microbiology. Thembeka joined Ampath in June 2013 as a Technologist and was promoted to a Senior Technologist in May 2015. She says there are many career prospects available for the taking. “Because of all the opportunities that were available, I found myself participating in more laboratory activities. I contributed in the training of students and qualified lab staff. I got to understand everyone’s needs, keeping in mind the operational requirements and ability to come up with a workable roster. I happened to already enjoy the support and cooperation of everyone in the department when I applied for the Lab Manager position in 2017. I am convinced that the extent to which I succeed in this role in the years ahead, will be a direct outcome of such mutual support. Ampath indeed promotes from within the company,” she says. A normal working day for Thembeka starts at about 6:30 where she does her planning to accommodate for unexpected surprises and to make sure the day’s key activities go ahead as scheduled. That way, service delivery remains the priority which her team collectively has to focus on. “Having a dedicated, supportive team like I do is the cherry on top,” she adds. Thembeka consistently strives for perfection and doing it right the first time. “I give training and create awareness into the daily activities, including alerting the team about the sensitivities around patients' health, as well as our service to healthcare practitioners who are naturally our clients." Thembeka was part of the key user group (KUG) during the implementation of the Total Laboratory Automation (TLA) system. “This was one of the highlights and one of many deeply enriching moments during my Ampath journey. The fact that this was a first in our country, gave us the added touch of inspiration as a team. It is also the teething challenges we had to go through, that ultimately brought a sense of fulfilment to us, the broader Micro Laboratory Team."